If you have damaged your iPad 2 screen we can help, maybe the touch screen is cracked as well as the LCD is damaged, if this is the case you will need a complete iPad 2 screen replacement. Our technicians will replace the complete screen on your unit with a brand new glass top and a brand new LCD thus restoring your iPad 2 screen back to full working order. If you can not see the image being displayed correctly below the broken glass screen, your LCD will be damaged. 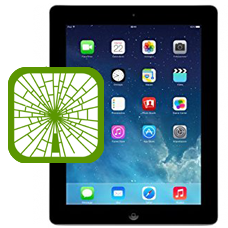 Yes, the parts we use for repairs are genuine original Apple iPad 2 screens.